On 2nd March last Theresa May delivered a speech at Mansion House that structured the future partnership between the UK and the EU. She presented her view of the "hard facts" of Brexit as well as her suggestions for future relations with the continent. This statement came in addition to the twelve priorities that come under the Brexit negotiations, set out on 17th January 2017 at Lancaster House plus the compromises included in the Florence speech on withdrawal and transition on 22nd September 2017, as well as the presentation of British commitments for a continued common policy on security and defence in Munich on 17th February 2018. At the same time, the European Union initiated the withdrawal agreement: on 28th February it published a draft agreement based on the political agreement concluded in December between the UK and the 27 other Member States. The Union also took position regarding the UK's future relations: on 23rd March the Council, standing as 27, decided on the guidelines that would form the European negotiator's mandate to start discussions over the framework of future relations, based on the draft guidelines presented by Donald Tusk on 7th March 2018. The general negotiation timetable is not behind schedule to any significant degree. Regarding the withdrawal agreement, the European Council's recognition that sufficient progress had been made on 15th December 2017 and that the drafting of a first version of the final text by the Commission represent significant progress. The definition of the transition period before the end of March 2018 tallies with Theresa May's requirements and the repeated requests made by businesses established in the UK, which have said they need at least a year to move their activities, if necessary. Finally, there is one year left - until 29th March 2019 - to discuss the general framework of the future relationship between the EU and the UK. It is not clear what the exact outcome of the negotiation will be: a document in the shape of a political declaration that would be the focus of more specific, technical discussions during the transition period (European position) or a legally binding agreement that would include the main measures and principles governing future relations, even if this means negotiating technical issues during the transition period (British position). In all events this part of the negotiation will focus on all of the long -term Brexit related issues. It seems for the time being that the general framework of future relations, as suggested by the UK is either unacceptable for the EU as it stands, or void of any real substance, limited to declarations of intention. By putting forward an impossible Brexit the UK is placing the burden of its real definition with the EU and by this it is losing the very initiative of it. 1. The process of the UK's exit from the EU enters a new phase, which is the most decisive long-term. On 15th December 2017 the European Council noted that "sufficient" progress had been made regarding the UK's exit of the EU. This initial phase, comprising the negotiation of the conditions for the transformation of the UK into a third State, focused notably on the border between the Republic of Ireland and Northern Ireland, on the status of European citizens living in the UK and Britons living in the EU, as well as the financial settlement linked to the exit. Whilst inviting the negotiators to "complete", "consolidate" and "draft" the points of convergence of the first phase, the European Council opened a second phase of negotiations on Brexit, which involves transition and the framework of future relations. During the European Council on 22nd and 23rd March last there was a call for greater efforts regarding certain issues related to withdrawal (Gibraltar in particular) and a reminder that previously made commitments had to be respected. • The UK will continue to have free access to the Single Market, but will have to contribute to the Union's budget and will not be able to participate in decision making (no representation in the European Parliament, no minister invited to meetings, no commissioner). The UK has therefore given up its right to veto as demanded regarding the laws that the EU would adopt during the period of transition. Conversely the UK will be able to enter into negotiation with third countries, in view of concluding trade agreements during the transition period (it will however only be possible for these to enter into force after the end of the said period). Moreover no "guillotine clause" is planned at this stage; this would have enabled the EU to deprive the UK of its Single Market access rights during the transition period if it did not respect the Union's regulations or the decisions of the Court of the Justice. In all events this transition agreement will only be the focus of a final signature in March 2019 with the withdrawal agreement. • She highlights her vision of the UK's legal independence after its exit of the EU. She presents the only balance that will guarantee legal safety: an extended application of the European Court of Justice's (ECJ) decisions when the British court has to refer to it, in the same way it would to another foreign court, regarding bills approved by the British Parliament in identical terms to European standards, as well as regarding European agencies, which would continue to act in the UK. The wish that the ECJ (nor a British court) be the judge of disputes arising from the agreement governing the relation between the EU and the UK is recalled here. These two points highlight that the application of Theresa May's mandate - interpreted based on the referendum of 23rd June 2016 - depends on the negotiations of the agreement on the future relation between the UK and the EU, and not on the conditions of withdrawal or transition, which do not reflect the wish for long term independence sought by the citizens of Britain. To these two hard facts presented to the citizens of Britain, Theresa May adds two more, addressed to the European negotiators. She recalls that the final agreement cannot be "taken from the shelf", again rejecting any orientation of the negotiations in the direction of an existing model (Canadian, Norwegian or Turkish for example). Likewise, she notes that the final agreement, regarding the opening of the British and European markets must be fair and provide binding guarantees, for example regarding competition, consumer protection and State aid. 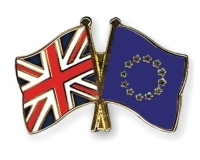 As a Member State, the UK encourages the implementation of an effective European competition policy. Soon to be a Third State, the UK is now worried about the development of the European market in this area. Even if it requests commitments in the agreement governing its future relations with the EU, it will not have the same level of influence over this European policy. Despite this apparent acknowledgement of the upcoming difficulties and the extent of the issues related to Brexit, the British position is still vague about future relations. • The absence of any agreement and the implementation of the Single Market rules and Customs Union in Northern Ireland. In the draft treaty presented on 28th February 2018, the EU only lays out this last option, in the absence of any real proposals by the UK on the first two, according to Michel Barnier. Hence the control of merchandise, which would become necessary because of Brexit, would not be undertaken on the border between Northern Ireland and the Republic of Ireland, which must remain virtual in order to protect the peace agreements of 1998. Control would take place in the British ports and in a way, would mean the creation of an internal border within the UK, between Great Britain and the island of Ireland. Theresa May has rejected this option, which in her opinion would "threaten the UK's constitutional integrity". At the same time, she said again that her interpretation of Brexit implied an exit of the UK from the Single Market and Customs Union, since the referendum was supposed to return international trade competence and the negotiation of free-trade treaties to national level, something that seemed impossible for it within the Single Market and Customs Union. • The second would comprise the introduction of "an extremely rationalised customs system, in which the UK and the EU would jointly accept the implementation of a series of measures that would aim to minimise trade tension, as well as specific measures for Northern Ireland". In virtue of these measures the UK proposes the introduction of control procedures that are as free as possible (automated administrative controls, recognition of "trusted traders" with the application of better IT solutions so that vehicles do not have to stop on the border). The second means introducing already existent measures or technologies that have not yet been invented. Moreover, the success of each of these proposals would rely on a great share of trust between those involved and on strong procedures. The EU would therefore take the risk of an experiment, the success of which would be very uncertain and would provide it with but few advantages. These problems become even clearer when it comes to the specific proposals for Northern Ireland mentioned by Theresa May in her second suggestion. Allowing SMEs from Northern Ireland and the Republic of Ireland (trade between them would represent 80% of trade according to the British), to continue as they do now, without any restrictions, would lead to a distortion in competition, freeze an economic and trade situation in the future that would certainly evolve and take away all means of control from the EU regarding goods entering the EU via Northern Ireland. The UK does not say whether the ECJ's competence or the future developments in European regulations would apply, whilst these details are the inevitable counterparts of the Single Market. One of the factors that arose most often in the speech given by T. May on 2nd March 2018 is the present alignment between the European and British standards. This alignment should justify and enable a future trade relation with as little friction as possible between the UK and the EU, to foster dynamic exchange that is beneficial for both sides. This alignment would endure just after Brexit, due to the transposition into internal law of the majority of the EU's legal corpus by the UK to guarantee vital legal continuity. According to Theresa May, this alignment would make it possible for there to be no specific barriers for services (for example financial), the application of common standards on goods and even the UK's participation as an "associated country" by certain European agencies. However, by maintaining these principles Theresa May mentioned the possibility on several occasions of the British Parliament being able to "diverge" in the future and distance the British normative corpus from European law. As presented by Theresa May, the option of divergence looks like a unilateral option of withdrawal; the Europeans cannot accept this. It would allow the UK not only to benefit from major rights without being an EU member, but it would also allow it to develop its legislation differently, when it deems it suitable, without the Union being able to exercise any control other than political pressure. The option of divergence, just like the other British proposals, combine a proposal for negotiation (to be based on normative alignment between the two entities to bring their economies together) and an argument of internal policy (clearly maintaining British independence). Between a purely symbolic Brexit and one that is economically rational - an acceptable balance for the British is sought by Theresa May. Hence the option of divergence, whilst it is highly criticisable and criticised by the Europeans, is the focus of unanimity amongst the British political classes, both amongst those advocating a "hard" Brexit, like Jacob Rees-Mogg (who qualified the measures as "significant, pragmatic and generous" and amongst those who want to retain strong links with the EU, such as Sarah Wollaston. The same goes for many issues - and off-topic questions - addressed by Theresa May since her first speech on Brexit given at Lancaster House, during which she maintained that the UK would take advantage of Brexit to strengthen workers' rights, engage more in research and innovation as well as for the environment. These issues are not however the point of Brexit. On 2nd March last she again devoted her introduction, her conclusion, as well as several parts of her floor-time to extremely general declarations about domestic policy. Notably she hopes to turn the UK, free of the EU, into "a country that does not work for the smallest number of the privileged, but for each and everyone of us." She presented the vote in support of Brexit as a "vote for wider change, so that no community in Great Britain is ever neglected." Theresa May is trying to show by all possible means that Brexit can be beneficial, and she is doing everything for it to be a success. But from this point of view her Brexit is impossible because it creates a distortion between the acceptability and the reality of Brexit. 3. The definition of the future relation with the UK weighs heavy on the EU, which was not the cause of Brexit. The Union has set its positions of principle on the future relations with the UK: the Council decided on 23rd March on the guidelines that will be used for the European negotiator's mandate to start discussions under the framework of future relations, on the basis of the draft guidelines presented by Donald Tusk on 7th March 2018. These positions take up and complete the guidelines that were decided at the European Council of 9th March 2017 and 15th December 2017. Whilst the UK does not present any clear vision of Brexit, nor any real solutions to an overall coherent way of viewing future relations, it regularly sets out its red lines. Very often the Union has responded to these red lines with a legal approach. Indeed, when in the first phase of negotiations the UK maintained that it would not pay under the framework of the financial settlement of withdrawal, it was reminded of its legal obligations. When some ministers forcefully maintained that there would be no transition agreement, they were reminded of the legal safety and continuity in the implementation of standards. When the UK mentioned a possible participation in certain aspects of the Single Market, European negotiators reminded it that this is indivisible and that it goes hand in hand with the ECJ's competence. Since 15th December 2017 the starting point of the European position has been a British red line: "the Union notes that the UK has said it no longer wants to take part in Customs Union, nor in the Single Market after the transition period." The negotiation mandate given to the European Commission provides in this sense the achievement of a "balanced, ambitious, and wide free-trade agreement which is not equivalent to participation" "in all or part of the Single Market. To guarantee fair economic relations the agreement will have to include "guarantees against undue competitive advantages". This point is one of concern expressed by Theresa May (in terms of competition and State Aid) and by the Europeans (regarding tax, social and environmental practices, or those affecting regulation). Regarding financial services, the March 2017 guidelines already provided an agreement to guarantee the financial stability of the continent, respecting its "regulatory system and standards, as well as their implementation". Outside of the areas linked to trade, Europe's position is open to the establishment of partnerships. The guidelines of the Council of 23rd March 2018 illustrate a pragmatic European approach to Britain's red lines: if the latter change, European proposals can be adapted as a consequence. The UK therefore remains free to modify its vision of Brexit; the Union will respond according to what the treaties allow. The UK's requests have been accepted by the Europeans when they have been legally acceptable. The guidelines in the framework for future relations with the UK show this in terms of the need to continue the fight to counter terrorism and international crime, as well as in terms of cooperation in defence, foreign policy, justice and the fight to counter climate change. The same applies to participation in European programmes in the areas of research and innovation, education and culture. Regarding aviation, the Council of 23rd March provides the possibility for agreements on air transport, aviation safety and security. The bid to transpose the British red lines is also to be found in the European Parliament. Guy Verhofstadt, the leader of the ALDE group, presented a resolution on 7th March last which was adopted by the European Parliament on 14th March oriented towards an association agreement between the UK and the EU. In this context the future relation might be based on four pillars: trade and economic relations, foreign policy and security, internal security and thematic cooperation. As he presented this proposal G.Verhofstadt indicated that he had "tried to make the link between the red lines of the British government and the principles governing the functioning of the European Union." 3.2. In answer to the five British political "tests" there will be two European legal "criteria"
• Finally, any agreement will have to find agreement in the UK as a whole. • A criterion of integrity of the Single Market. This criterion can be divided into two parts: the impossibility of accepting that a State be able to choose - freely and according to its interests - to submit or not to the jurisdiction of the ECJ; the impossibility of accepting an "à la carte" choice of areas of the Single Market in which this State would like to take part. Hence Theresa May has responded to vital political constraints. Donald Tusk's position is more legal. He is defending the application of the treaties and the community acquis of the European Union, notably as far as the Single Market is concerned. This European position is powerful, but effective only because European public opinion is mainly uninterested by the Brexit negotiations: there is no real debate from a political point of view amongst the 27. Hence Europe's negotiators can use stable standards and institutions to the full. For them it means implementing article 50 of the Treaty on European Union in terms of the withdrawal agreement, then existing measures regarding trade or association agreements to define the future relationship. We can expect no more of the European negotiators other than a transposal of the UK's red lines into legally acceptable positions in view of the treaties. Inspiration will come from the British, or not. On 8th March 2018 an infringement procedure was launched by the European Commission against the UK regarding unpaid customs duties to the European budget to a total of 2.7 billion €. "The new agreement we reach with the EU must endure. After Brexit both the UK and the EU want to forge ahead with building a better future for our people, not find ourselves back at the negotiating table because things have broken down."